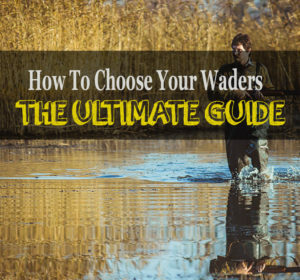 In today’s age a pair of fly fishing waders can be considered almost as essential as your rod, even for the average fly fisher. They changed from shabby rubber waders to a high-tech piece of equipment with costs going up to several hundred dollars. Their benefits are obvious, get closer to the fish you are after, while staying warm and dry. In terms of comfort, you don’t feel a difference between standing in or next to the river. As a result many fly fishers tend to wade way more than necessary with consequences, that might seem insignificant at first, but over time and en mass might damage an ecosystem to the point, where trout struggle to survive. Although they often put up a great fight there is one thing where trout aren’t that tough. Unlike bass, a healthy trout population is highly dependent on a perfectly working ecosystem. 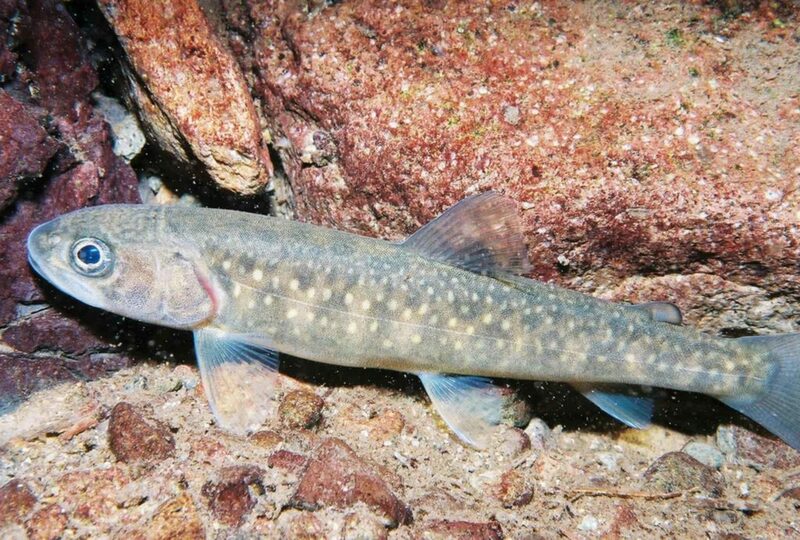 From water temperature, oxygen levels to vegetation and other aquatic organisms, for a consistent population trout needs certain parameters to be given. So how exactly does wading through their habitat bother them you might ask. Well, those aquatic organisms are not only one, but one of the main food resource for those fish. Minnows and crayfish, snails, crustaceans, mollusks, just to name a few. You might have guessed, but wading over them doesn’t really help at holding up a consistent supply of food for your favorite freshwater fish (trout!). Although the impacts might be minor in most cases, chances are you aren’t the only person fishing that river. Add up three people a day wading over the same part of the stream and all of a sudden wading boots are a bigger threat to those aquatic organisms than trout could ever be. There is another major factor, that I, although should be self evident, definitely want to mention. There is no easier way to damage a river’s trout population than wading up and down the river during spawn. In case you didn’t know, trout lay their eggs right into the gravel. Those eggs hatch many new trouts you surely want to catch some day, right? I thought so, so keep in mind that the spawning period is that time of the year where your local river is especially fragile. Can I Ever Step Into A River Again, Without Feeling Terrible? Yes you can. The only thing you should keep in mind is wade only as much as necessary. Want to get to a spot 30 meters up the river? Well leave the water and walk back into the wet right next to it. During spawn be careful not to walk through lighter looking gravel patches. Those are often redds, in other words, nests of trout. Avoid wading through areas covered in underwater vegetation. 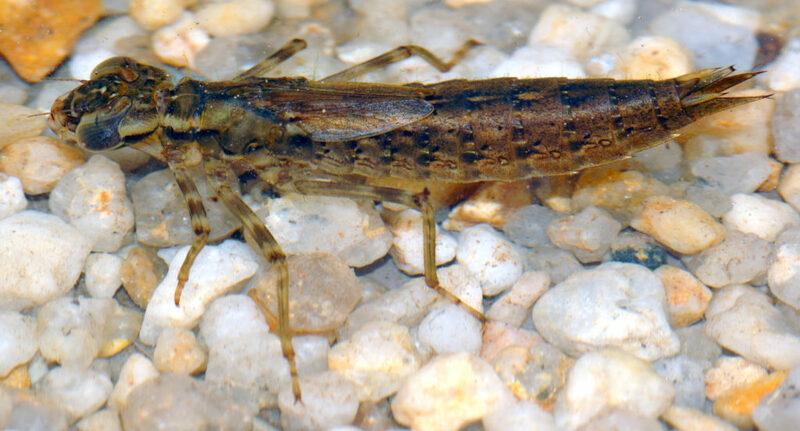 They often inhabit even more of those tiny aquatic organisms than the rest of the river. Often people just don’t realize how much different organisms rivers inhabit and how sensitive those can be to impacts caused by actions seeming so insignificant to us. No one loves the rivers as much as we fly fishers do, so if we don’t protect them, who does? Conservation should always be in the back of your mind if you want your grandchildren to enjoy your local river as much as you do right now. Some time last year I brought an underwater camera down to the river with me. The initial plan was to place it somewhere, where it would capture all the fish caught that day, from a new perspective. Back home we realized that all those tiny animals crawling around in the river bed are way more interesting to look at than the actual fish you barely saw. It’s unbelievable how much stuff lives down there.